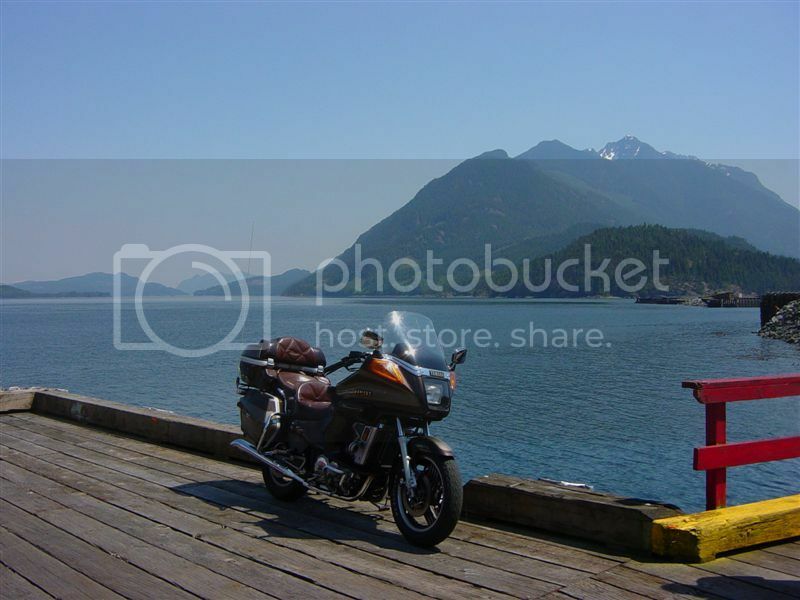 Forums » General Discussion » The Water Cooler » Any Riders Here? 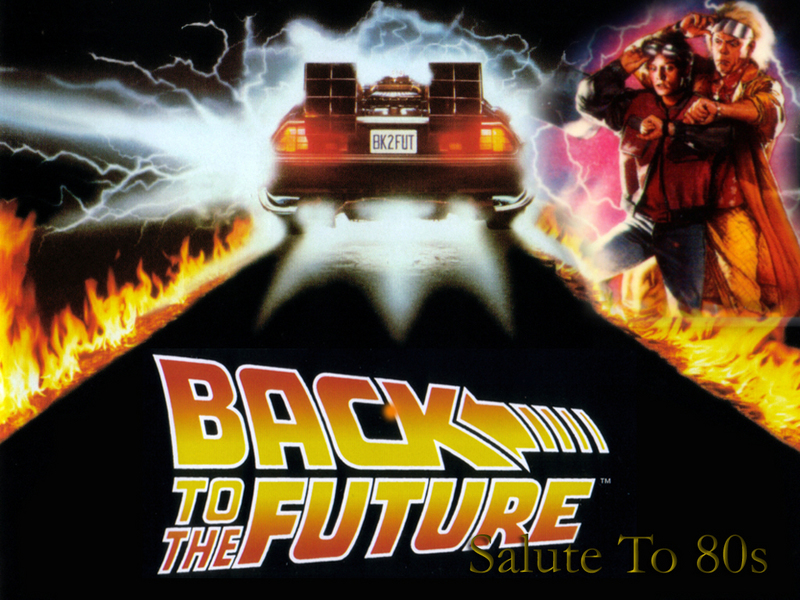 #380948 - 07/31/12 04:33 PM Any Riders Here? Since we've done cars, how about some motorcycles for the riders out there. I've been riding for over 30 years. 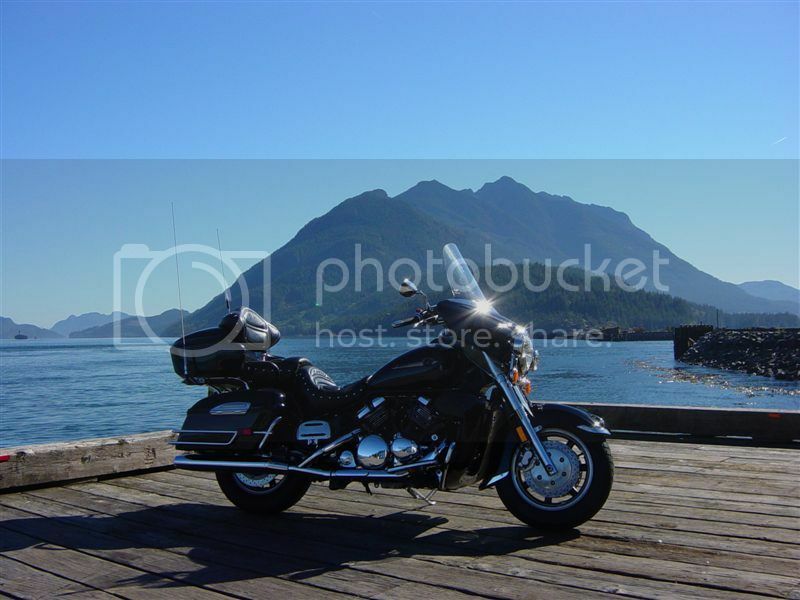 My first bike was a Harley 1000cc Sportster that my wife bought me for my birthday in Gander, Nfld. The day that it rumbled into my yard in May, it was snowing (typical of Nfld weather). I owned a HD long before they became fashionable for yuppies who own most of them now. Back then they were quite uncommon, not like today where everyone seems to own one. After family obligations forced me to sell my HD, shortly after I got back into riding by acquiring a big touring bike - 1985 Yamaha Venture Royale (~800 lbs). I traded it up to an even bigger 2004 Royal Star Midnight Venture (~900 lbs). 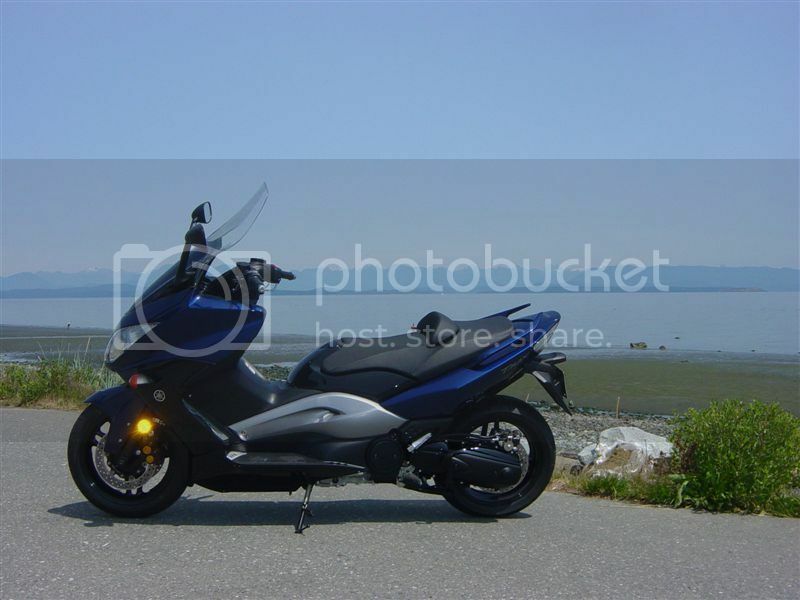 A couple of years ago I got tired of wrestling the big bike out of my garage & upgraded to a 2009 Yamaha TMAX (480 lbs). This bile is an absolute marvel of engineering & is a very rare bike out here - I've never seen another one on the road. It is quick, nimble & a blast to ride - 500cc, no foot controls, auto transmission & just plain easy to drive. It's the most fun that you can have sitting up! Great story. Great pictures. Thanks! Great pics TAM, thanks for posting them. Based on my avatar I think you can tell I ride too. In fact I used to live out in Victoria for 4 years (I am from Toronto originally) until a job took me from the island to Ottawa where I have been settled for over 10 years now. I had the joy of purchasing a brand new 1998 VFR800 from S&G Power when I lived out there and had the great privilege of exploring many island roads on 2 wheels. One of my favourite short runs was from Cordova Bay where I lived out to Port Renfrew and back. 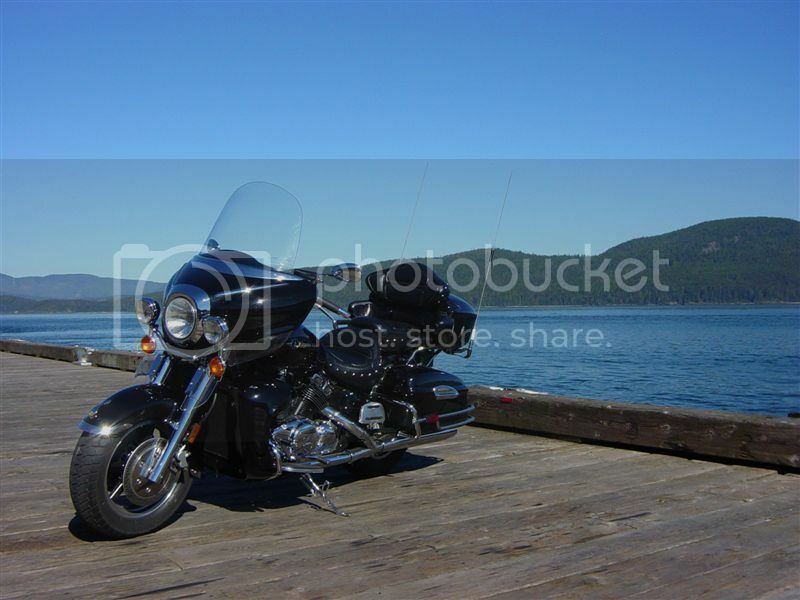 I loved riding the bike out onto the dock and just chilling there for a while before enjoying the amazing ride back. Fun roads, great scenery - you are bringing back wonderful memories. 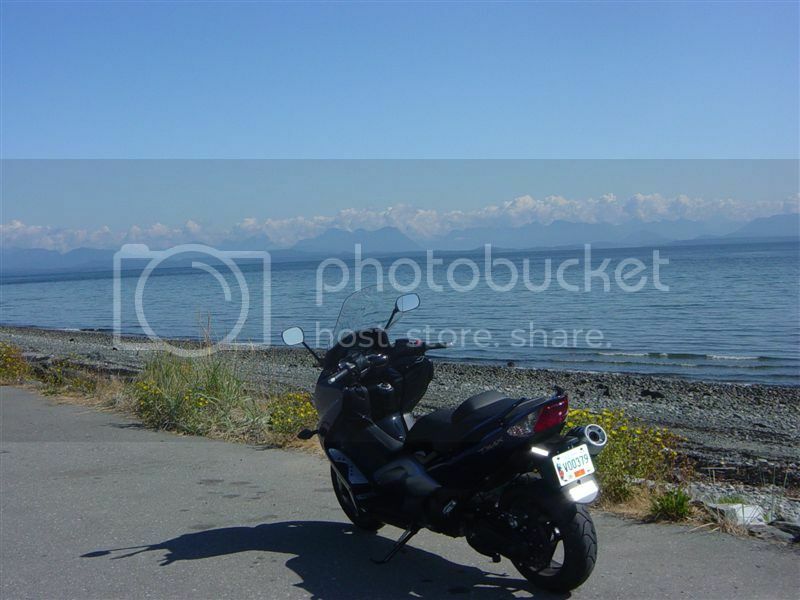 In fact I am typing this from my office desk where I have a 4x6 taped up of me on the VFR parked on the side of a mountain pass from a trip to the interior we did one weekend. I sold the VFR when my 1st baby was born to make way for the hideous mini-van phase of my life, but now ride a 2005 Honda CB900F. 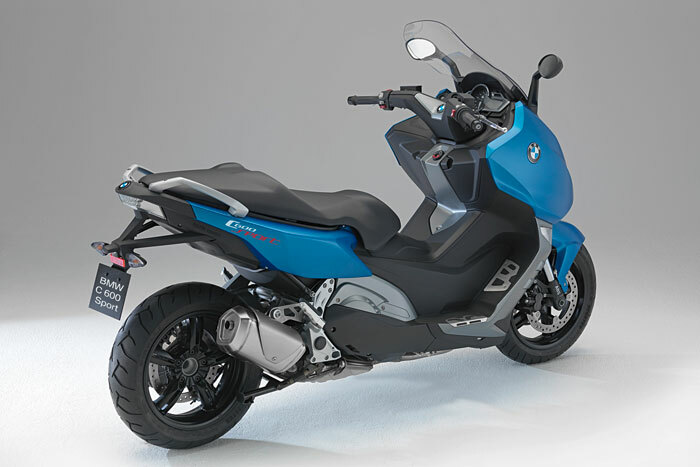 I am trying to convince my wife how the Honda must be traded in for a BMW K1300S without much success. What are your favourite routes? Great pics, we always love great pics. OOOOOOOOOOOOOO! 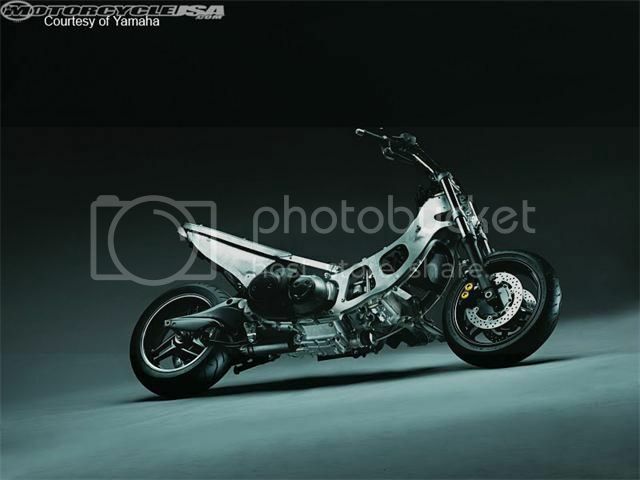 Lusting for that 2009 Yamaha. cb: I'm extremely fortunate that I am on rural roads within 3 minutes of my driveway. 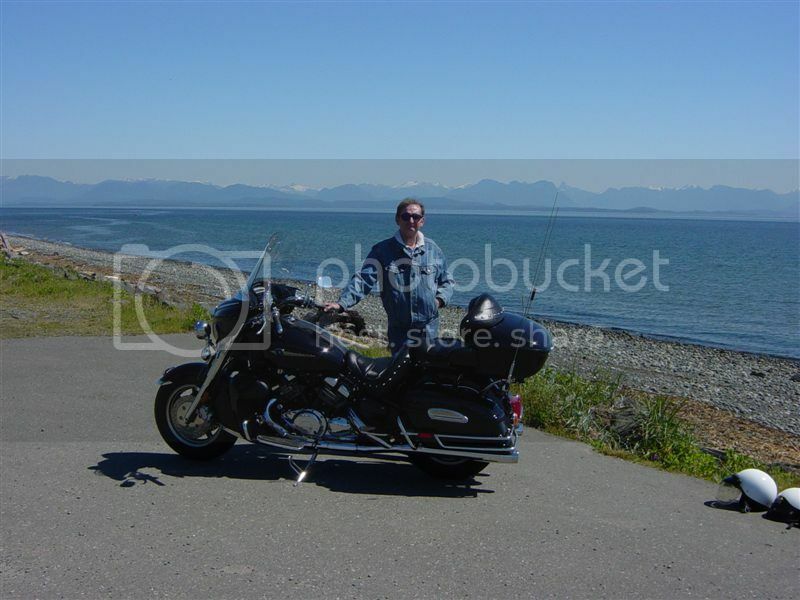 I normally do various day trips to Kelsey Bay to the north (bikes on the wharf) or over to Gold River (Pacific side of VR Island - TMAX with the boat) & south to Qualicum Beach. 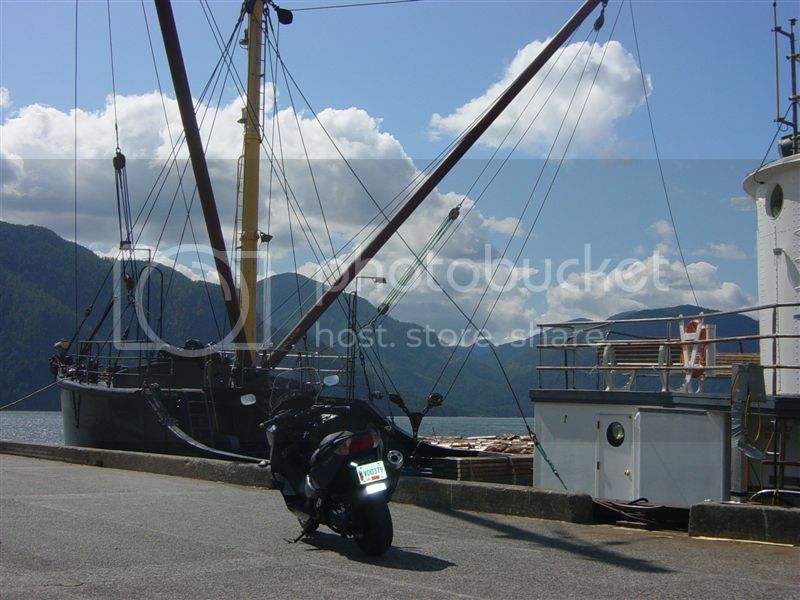 All lovely scenery that I never tire of with nice waterfront places to stop for refreshments. 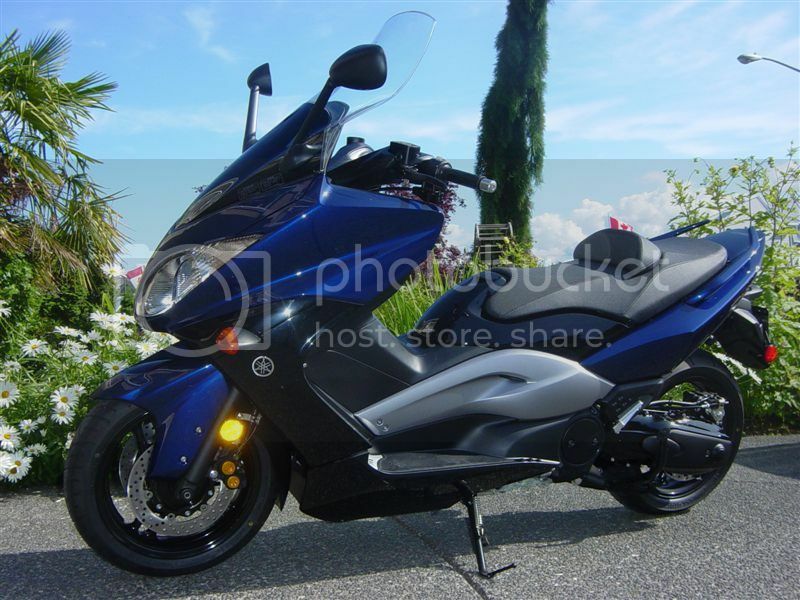 For those who are thinking of getting back into biking & don't want a crotch rocket or an over weight cruiser/tourer, the Maxi-Scooter class including the Honda Silver Wing, Suzuki Burgman & Yamaha TMAX (among others) are a wonderful way of getting back in the saddle. Riding the TMAX has totally replaced flying aircraft in my life. 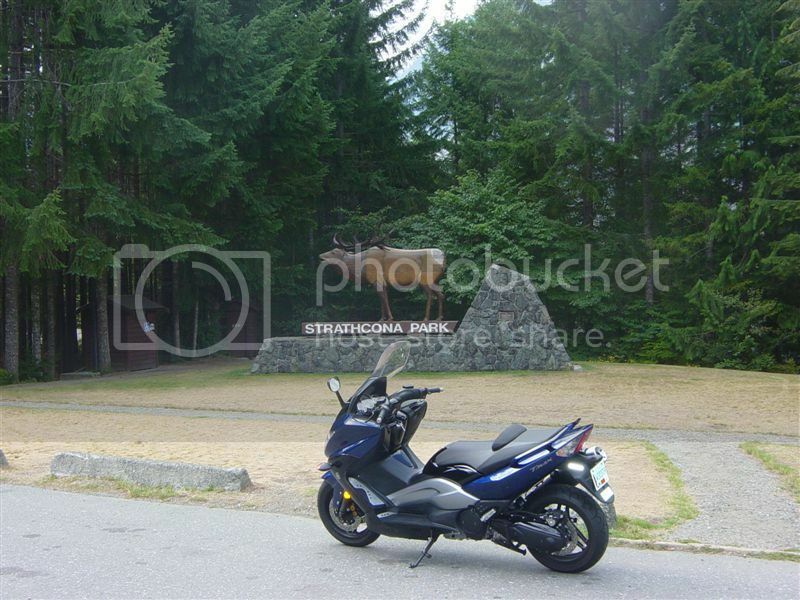 Ajax: The TMAX is uncommon in North America largely due to our ridiculous macho attitude towards bikes. In Europe they are huge sellers - in fact the TMAX was the largest selling bike of its class in Italy. The Europeans trick them out with exotic parts & avidly race them - they're fast!! It's a big deal over there. 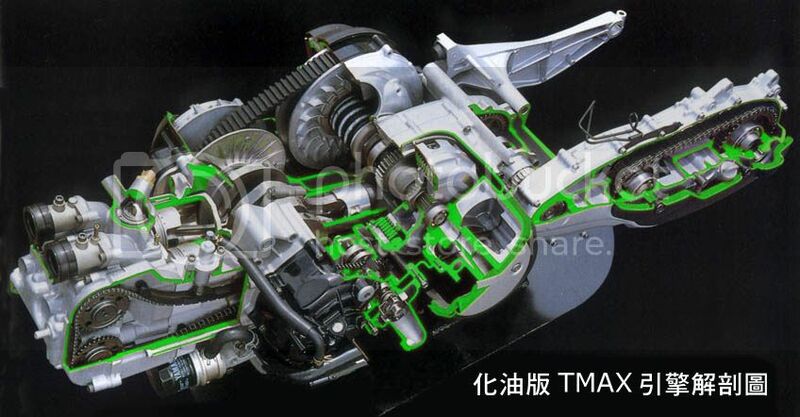 The pics below show a TMAX in racing trim followed by some internal shots. The naked pic shows its high tech frame - quite nasty looking. Thanks for the info, Tam. After posting above, I did a little googling. Lots of good things said about the TMAX. Also found a lot of good things about the BMW C60 Sport and C650 GT. 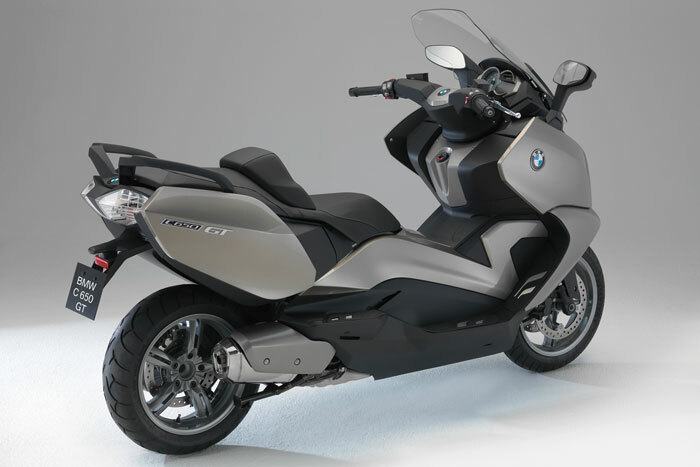 Wish the budget and my health would allow for one of these babies (TMAX or BMW). Jack: Your pics didn't show up. The BMW was not available 3 years ago when I was in the market; however, I still wouldn't trade my TMAX for anything. As for health concerns as one ages, I never strain anything like I did when I tried to manhandle the bigger bikes. Weird! They were there when I posted them. I'll try it again.